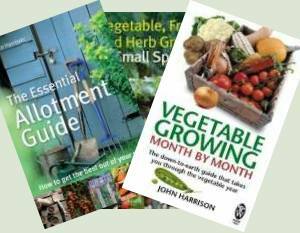 White Beetroot amongst the red beets – What Causes White Beetroots? 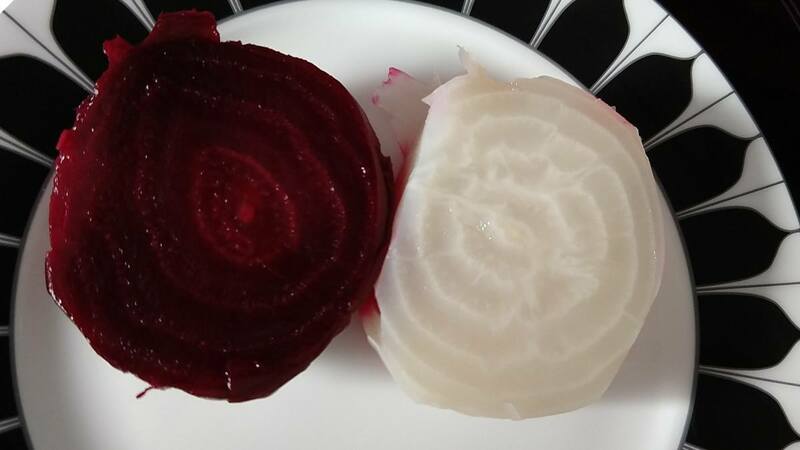 White Beetroot amongst the red beets – What Causes White Beetroots? 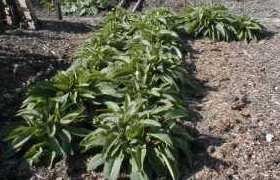 Garden Diary › Allotment Garden Diary › White Beetroot amongst the red beets – What Causes White Beetroots? White Beetroot amongst the red beets – What Causes White Beetroots? Sometimes a simple question, like this one about white beetroot appearing amongst the red beets, opens up an interesting topic. Understanding why white beetroot are appearing from a packet of red Boltardy Beetroot seeds takes us into how we breed new varieties of vegetables. I have been growing Boltardy Beetroot successfully every year. The last two years I have had the odd pure white beetroot amongst them. Last year I threw them away but this year I cooked one and tried it. Apart from the colour I couldn’t tell the difference. I wondered if you knew why this was happening. That’s actually a really interesting question. 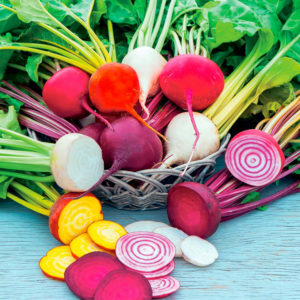 Beetroot doesn’t just come in red varieties, there are white beetroot varieties, yellow / brown beetroot varieties and beetroot called chiogga beets or candy stripe which have alternating rings of white and red. They’re all edible and some say the white and chiogga beets are sweeter whilst there are some claims that they lack antioxidants found in the red varieties. Personally I don’t think that really matters much when you eat a mixed diet. Incidentally, carrots are a vegetable that we all think of being orange in colour yet they were bred from a white root and are available in a range of colours nowadays. Cauliflowers are another vegetable where more colours are available than the accepted white – purple, yellow and green. Firstly, it’s nothing to do with the environment or cultivation methods. How you grow it will not change the colour of the beet. The cause lies in the seeds themselves. It’s not that some white beetroot seeds have got mixed into the packet either, it’s to do with how we breed varieties. To produce a new variety of seed that can be listed for general sale it must be distinct and stable. Distinct just means different to any other listed variety. That stops the same type of seed being listed under two or more names. Stable means the seeds must produce offspring similar to the parent. Let’s leave F1 varieties out of it for the purpose of this explanation. Let’s say I find a pea plant that produces purple peas in a row of green peas. 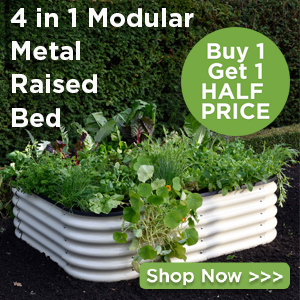 They grow well and taste wonderful so I can see fame and fortune lies in those pods! I save the seed and sow them but only half grow to have purple peas, the rest have reverted to green. The next year I sow only the purple peas and fewer come up green. By repeating and selecting just the purple peas, after some generations I have a distinct variety that is stable. Only rarely does a plant come up with those old fashioned green peas, but even after many generations a plant will occasionally revert to the old type. very rare but not unknown. I’m sure a trained biologist or geneticist could give a more extensive and technical answer but I’m neither of those.